« Seriously, how cool is Posterous? 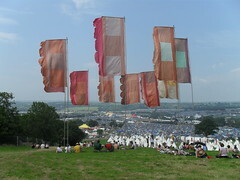 Confirmation from the Glastonbury website that the festival will be running in 2010 & 2011. Efestivals are speculating that 2012 will be the “rest year” where we all either a) wander about all summer wondering what we did before we discovered Glastonbury, or b) Go to V/Isle of Wight/Lattitude/etc. Tagged in: glastonbury, glastonbury 2010, glastonbury 2011.